Summer 2019 Registration Opens March 6 for returning campers, siblings of returning or former campers, and children of alumni & March 7 for all campers. Please read before continuing to registration below. Each session has a maximum enrollment. (Camp Shalom Noar-Bogrim has a minimum enrollment.) Should registration exceed enrollment capacity, the Camp Shalom Committee’s enrollment policy will be followed based on DATE of registration. The following criteria will be used to determine enrollment by session: 1) Returning campers; 2) Siblings of campers or former campers; 3) space availability in age-group; 4) A witnessed lottery. To ensure equitable treatment, registration is ONLINE or by MAIL ONLY. 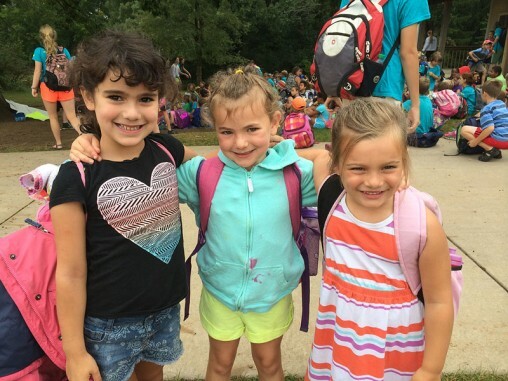 Camp Shalom is open to children entering kindergarten through 5th grade; Camp Shalom Noar-Bogrim is open to children entering 6th through 9th grade —regardless of color, gender, race, religion, ancestry, creed, sexual orientation, political persuasion, disability or national origin. Camp Shalom welcomes and strives to meet the needs of all campers. Campers with any disabilities/special needs may require more attention and supervision than our staff is able to provide on its own. We ask that families clearly indicate special needs on the Registration Form so that we may talk with parents directly. Failure to provide accurate information may result in our being unable to serve your child when camp begins. Ongoing 1:1 supervision and support cannot be provided by Camp Shalom staff. Please contact Camp Shalom administration upon registering if you are considering using an outside agency to support campers who are likely to require time away from their group or need 1:1 assistance during the camp day. Registration must be accompanied by a $55 non-refundable registration fee per child per session. Campers will be accepted only for sessions for which this fee has been paid. The registration fees will not be refunded after registration confirmation. All camp fees are due by April 16, 2019, or your child’s space will no longer be held. Written requests for refunds of camp fees (not including the registration fee of $55 per session) will be honored only until April 16, 2019. After April 16, 2019, no refunds will be made, no exceptions. Refunds will not be made for incomplete attendance. Full and/or partial scholarships may be available. Completed scholarship application deadline is March 22, 2019. The scholarship application is online and to be filled out after completing registration. If you need a paper copy please contact Ellen Weismer, shalomdirector@jewishmadison.org. You will be notified about scholarship funds by April 5, 2019. If applying for a scholarship, the $55 registration fee need not be submitted at this time. Enter the code SCHOLARSHIP at checkout if you are unable to pay the registration fees at the time of registration. Camp Shalom provides transportation to and from the Goodman Campus ONLY from bus stops listed. Campers MUST get on and off the bus at the same stop each day. There is a $25 bus fee per family for each session. Campers who are not using the bus should be dropped off at the Goodman Campus at 9 am and picked up by 4 pm. Prior to camp attendance, a physical examination, within the last 2 years by a licensed physician, is required. Forms are provided by Camp Shalom Forms with registration (or download now). All forms are due by June 3, 2019 or there will be a $50 penalty. Schedule your appointment at this time. Licensing regulations require that we receive a medical form for each child prior to the start of camp. No child will be allowed to attend until the form is received. This waiver gives Camp Shalom and Jewish Federation of Madison permission to use photos of registered campers in promotional materials for both Camp Shalom and Jewish Federation of Madison, including but not limited to, on our website, email, Madison Jewish News, printed marketing materials, and social media posts. Camp Shalom reserves the right to suspend and/or expel any camper whose behavior is deemed unacceptable.